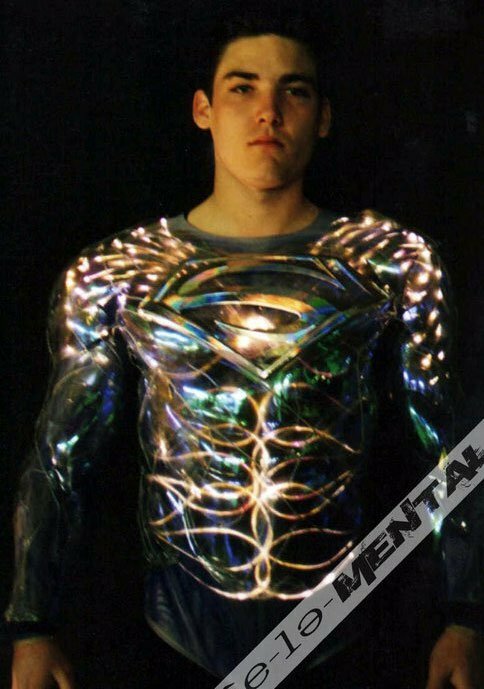 Folks are plenty excited now for Zack Snyder's Superman reboot.But even before Bryan Singer came around with Superman Returns, it was Tim Burton who was going to bring the Man of Steel back to the silver screen with Superman Lives. Looking back, thank god he didn't. 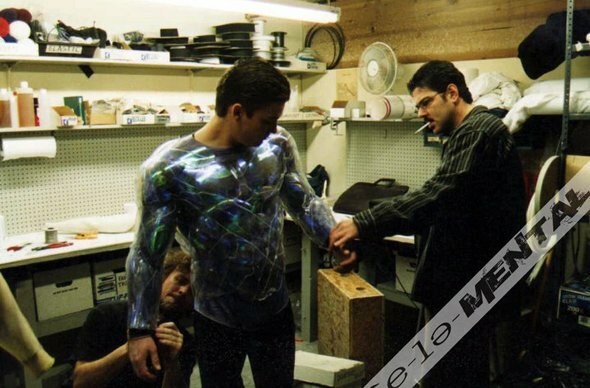 Special Effects creator Steven Johnson, who has done work on movies like Spider-Man 2, The Abyss and Predator, has posted a full gallery on his Facebook page showing off what would have been Superman's new costume. 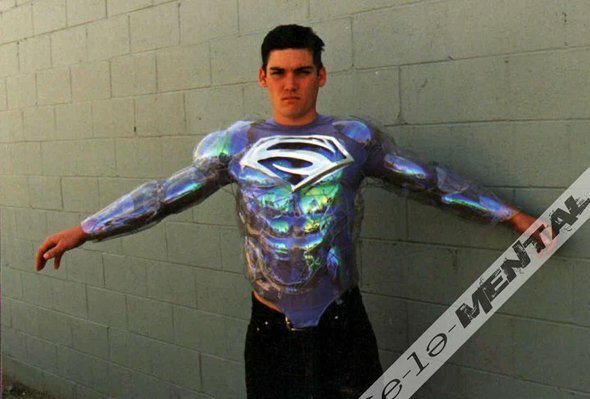 Made out of what appears to be a blue spandex top covered in clear plastic, the costume is as far away from the red and blue tights as you can get. 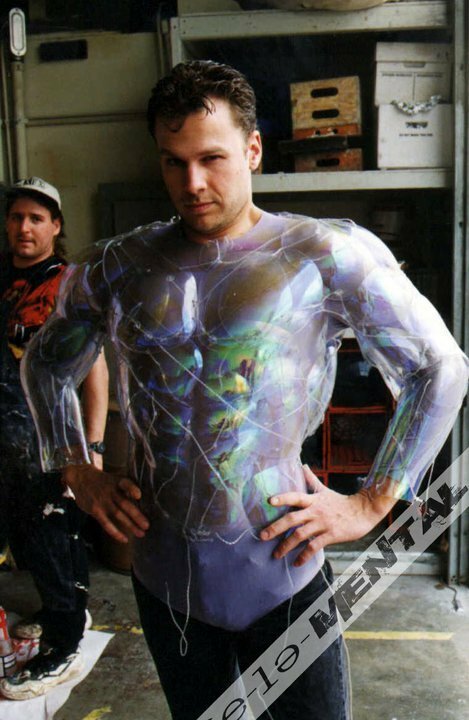 While the costume overall looks like a disaster (maybe it would have worked in the 90s? ), I will say that I really do like what they did with the "S" on the chest. Silver lining, if you'll excuse the pun. Check out some of the photos below and head over to Johnson's Facebook page to see the rest. 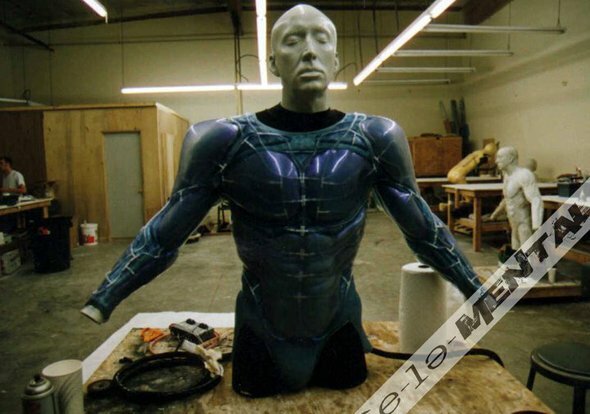 Also, see if you can guess the actor that was used for the plaster model (hint: it's obvious as hell).